I was thinking about bucket lists a few weeks ago. I don't necessarily have a life bucket list. Goals, yes. Hopes for the future, of course. 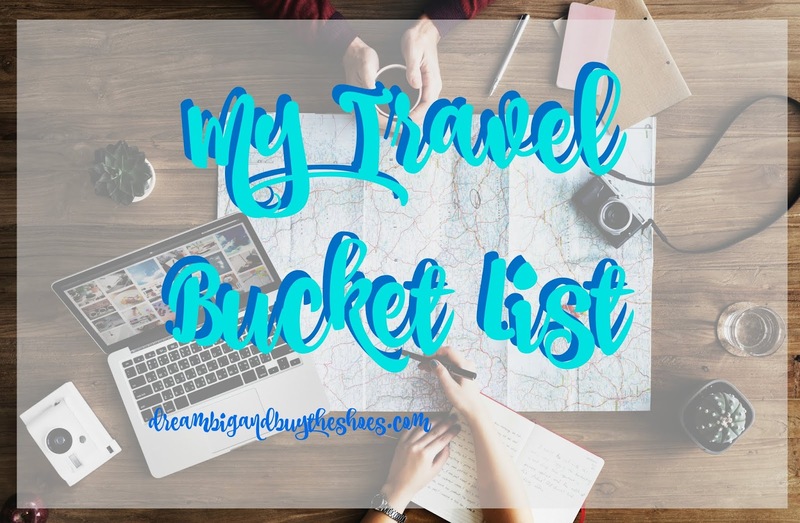 I suppose my Bucket List pretty much refers to experiences and travel. I'm not a world traveler- I've only ever traveled internationally to the Bahamas on a cruise, but I loved it. I want to do more of it and want our children to have awesome experiences and see what the world has to offer. Focusing more on experiences rather than material items and unnecessary things is a serious goal of mine. So today, I wanted to share my Travel Bucket List. Full of places I want to go, things I want to do and fun experiences I can partake in. What do you think? Anything on here you have done or want to do? I would love to hear some of your bucket list items!